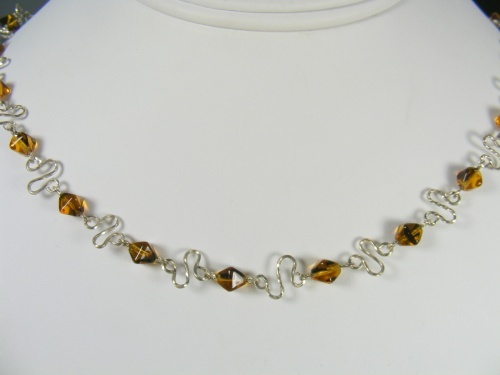 This unique necklace has sterling silver zig zags between amber tiger like crystal beads. Has a pair of complimentary earrings. Measures 17" long.